This time our deal hunting team brings the best and cheapest Las Vegas flights and hotels, including the Riviera Hotel and Casino under $20 per night – plus taxes. You can save as much as 65% off of regular prices if you book by and also travel through December 31, 2013. Flights to Vegas start from only $72 r/t and other you can also stay at Harrah’s Las Vegas Casino & Resort fron $23 pn, at a suite in the Aston MonteLago Village Resort from $80 pn or another one of the below discount hotels. Hurry, these offers will sell out in a glance! 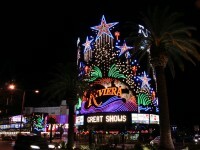 The 3 star Riviera Hotel and Casino features an exercise room, more tennis courts, a magic shop, even a tattoo parlor – for the craziest nights, as well as the Oasis Pool with free live music and weekly pool parties and the wonderful Riviera Royale wedding chapel where you can get married Vegas style. 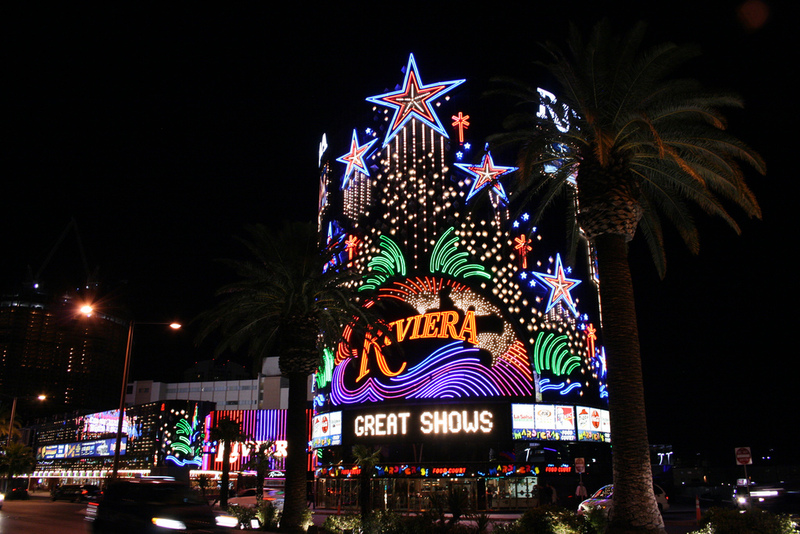 Have you decided to book into Riviera Las Vegas for this December? Very good! But before doing so, take a minute to check some of the other merchants too for similar deals, just to make sure that you got the best offer!